Here at BK Timber we’ve been producing wooden gates in Staffordshire for more than 30 years. All of our gates are hand crafted in our Staffordshire workshop by our highly skilled joiners, to provide you with stunning, bespoke driveway and garden gates. We only use PEFC and FSC certified timber for our wooden gates, and this enables us to produce high quality wooden gates whilst also making sure we’re only using sustainable timber. We regularly supply our gates throughout Stoke on Trent and the Staffordshire area, and you can see a wide range of examples of our wooden gates by taking a look at our gallery. Whether you’re looking for driveway or garden wooden gates we’re sure to have something to suit the style of your property. We understand that everyone has different tastes and so we our wooden gates range in design from simple, functional pieces through to more ornate gates to transform the street view of your home. 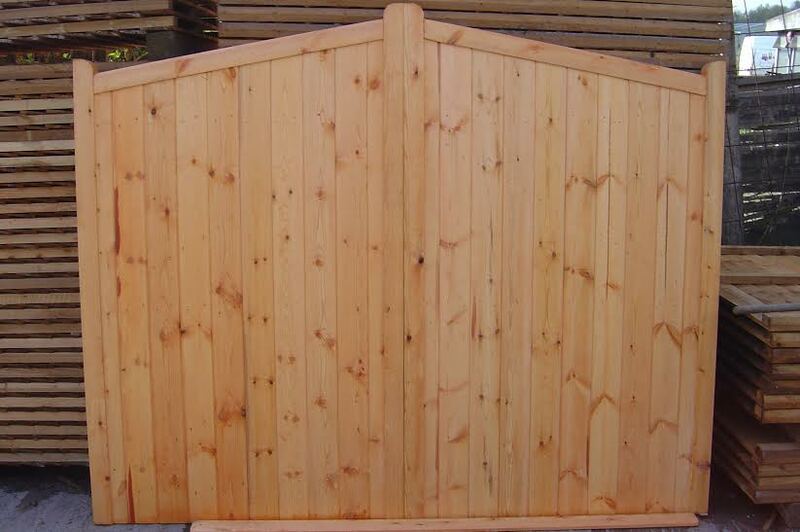 All of our wooden gates are available with a choice of spirit based preservative in Brown, Cedar and Clear. Getting the perfect wooden gates in Staffordshire is easy! Simply choose the gate you love using our gate builder tool, measure up the area (our handy measuring guide takes you through the process, step by step), enter the measurements and we’ll make your bespoke wooden gate. We offer free UK mainland delivery and promise the utmost care in every element of the manufacturing and shipping process. If you would like to find out more about our wooden gates in Staffordshire then please get in touch with a member of our expert team. UK Gates 4 U is a family business and you’ll from talking directly to us, benefitting from our experience in the industry.